About a week ago I was invited to lunch with Peter Zemmer, the top-flight Alto Adige winemaker, at Gotham, which is also top-flight (and celebrating its 30th anniversary, no commonplace occurrence in New York’s brutal restaurant scene). The lunch was fine – varied, flavorful, with the quality of the ingredients shining through each course. The wines were every bit as fine, radiating a varietal purity that is exceptional even for a zone as dedicated to its pursuit as Alto Adige. I’ve posted about Peter Zemmer before: the sheer pleasure of his wines is my excuse. 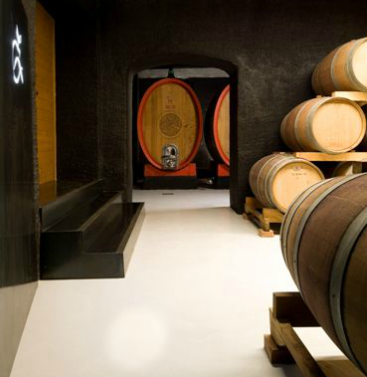 The family-owned winery is located in a tiny village in Alto Adige, which is certainly one of the most beautiful wine zones in the world. The facts that (a) it used to be a part of Austria – the Sud Tirol, (b) whichever way you look, the horizon is bounded by snow-capped mountains, and (c) the majority of its population still speaks German, lead most people to associate it first with skiing and only secondarily, if at all, with wine. Anything called the Tyrol must be too cold for vines, right? Well, no. 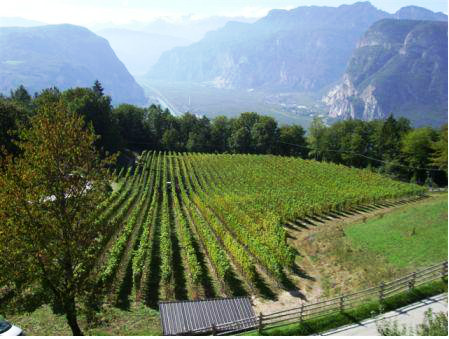 The Alto Adige gets a tremendous amount of sunshine – 1800 hours a year, better than 300 days of it, on average. In high summer, Bolzano, the regional capital, can be hotter than Palermo. Lush fruit orchards line both banks of the Adige river as it winds its way down from its origin in the Alps, past Bolzano and ultimately into the Adriatic. As you move away from the river, all directions become one: up, through vineyards sited at different altitudes as the soils, exposures, and microclimates dictate suitability. That’s why Alto Adige can grow so many different varieties so well, and with such distinctiveness to each. I was similarly enthusiastic about the second wine of the day, 2012 Pinot bianco Pünggl (a vineyard name, hence a cru wine). Just having them side by side highlighted their fidelity to type. Where the Pinot grigio was all pear and bright acid, the Pinot bianco was all apple and roundness, fuller and more supple in the mouth – still live, with that characteristic acidity that enlivens so many Italian wines, but more Burgundian in its attack than the Pinot grigio. So too the 2012 Riesling Rohracker: some green apple, a whiff of almost-grapefruit, a hint of peach and of citrus, with a slight oiliness on the palate – that would be textbook Riesling, whether it’s grown in Germany or Alsace or Austria or the Sud Tirol. As I get older, I relish Riesling more and more: It’s a wine of endless nuances. As a younger person I wasn’t so much interested in nuance as in having a wine slap me in the face and yell “Listen Up!”; and while I can still appreciate an attention-grabber like that, I’m more and more intrigued by wines that whisper their greatness rather than shout it, wines just like this lovely Riesling. Zemmer poured one final white wine for that lunch, his 2010 Cortinie bianco. This is his only blended wine, a mix of roughly 50% Chardonnay, 30% Pinot grigio, and 10% each of Sauvignon blanc and Gewurztraminer. The elegance that marks his entire line of wines shows here in the delicate balance of flavors – ripe white fruits, with hints of apricot and honey – and in the lovely roundness and acidity of the palatal feel. It suggests full body without being in the least heavy, and just cries out for an important dinner – chicken, turkey, veal, fresh ham, fricassees with creamy sauces. For all its affinities with Austria and Germany and its now almost century-long attachment to Italy, Alto Adige remains a curious borderland. 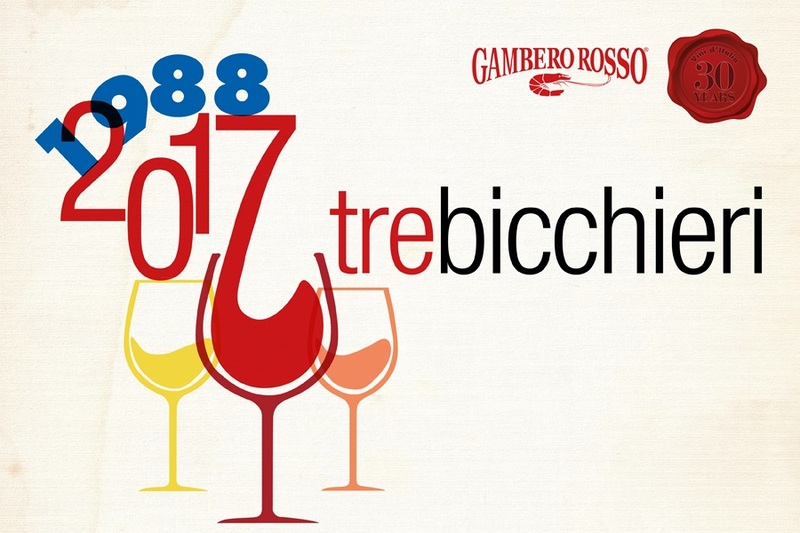 Grape varieties that elsewhere in Italy would be regarded as “international” and recent introductions are natives here, having been grown here for centuries – Pinot gris and Pinot blanc among them, as well as Riesling and Gewürztraminer. The latter, with the most Germanic name of all, and associated by most wine lovers with Alsace, actually originated here around the town of Termano, in German Tramin – thus, Gewürztraminer, the spicy grape from Tramin. Alto Adige’s reputation in the world at large is built on white wines, and rightly, but there are red grapes here too. Some of the soils contain significant amounts of porphyry, which red grapes like for reasons that go beyond color. Alto Adige’s hearty, Austrian-inflected Alpine cuisine needs some red wines, and the growers, who are as fond of their canerdeli as any of their neighbors, are happy to provide. Zemmer doesn’t grow the most popular red grape of the zone, the workhorse Schiava – he says he just doesn’t have the right soils for it – but he does make the region’s other favorite, Lagrein, as well as some very interesting Pinot nero. The latter, Pinot nero Rollhütt 2012, nicely accompanied a tasty rabbit risotto. It showed a restrained, elegant, style – all Zemmer’s wines are elegant – that revealed more and more fruit as it opened in the glass. The long, black-peppery finish particularly complemented the food and left an intriguing dry buzz in the mouth. All in all, a very sophisticated wine. If the Pinot nero seemed a big-city sophisticate, the Lagrein – 2012 Lagrein Raut – proved to be a classic country gentleman: very composed and balanced, rich with dark fruits and a little underlying earthiness and brambliness. Seventy percent of the wine is aged for 12 months in large oak barrels, the rest in second-passage barriques before blending and bottling. Neither red wine tasted obtrusively of wood, which would most certainly, if immoderately used, have blurred or obliterated their varietal character. Both red wines, while enjoyable now, give every indication that they will be even better in a few years. I can only hope that’s true of me too.